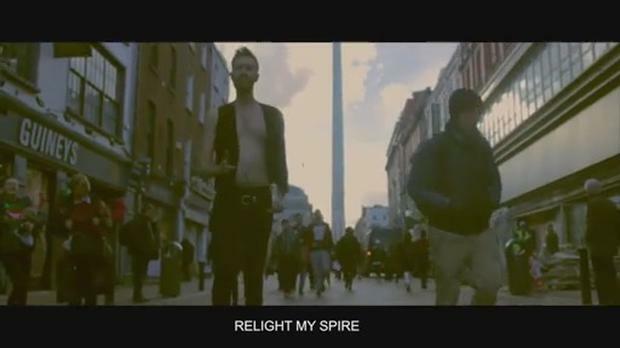 The creative geniuses at Dublin radio station SPIN1038 take aim at various Dublin locations in a hilarious new musical mashup. Dublin the Musical sees them reinventing pop hits with lyrics taking the Mick out of everywhere from Dalkey to Finglas. It's choc full of lazy stereotypes so you wouldn't want to be easily offended. The lads kick off with the following to the tune of Adele's Hello; "Hello, Dun Laoghaire, I've been walking on your pier and Teddy's ice cream is nice here." Justin Bieber's Sorry: "Fell asleep on the DART now I'm in Bray, what a horrible way to spend a Sunday." Macklemore's Downtown: "Dalkey! Mums who can't drive big jeeps, all day brunch it ain't cheap, snobbery is rife in Dalkey!" Justin Timberlake's SexyBack: "I'm from Blackrock, I go to private school, I'm a dumb jock. Daddy gives me all his money so he can watch me play rugby." Lady Gaga's Poker Face: "Carrigmines, Carrigmines, no you ain't got nothing in Carrigmines, except a stanky dump". And more so on! Check the video out above.